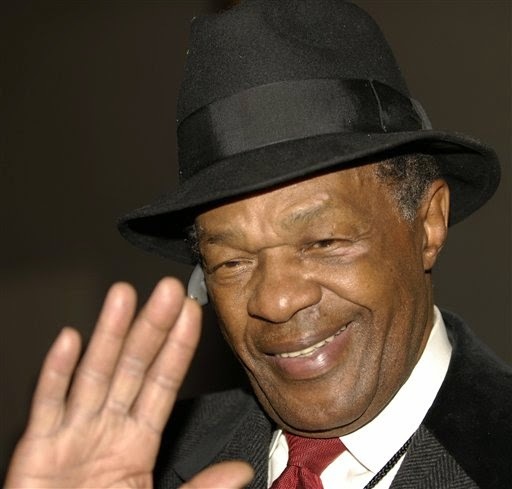 "Mayor For Life", Marion Barry was a freedom fighter. He is the first elected official in America to get shot fighting Muslim Extremists. In 1977 when Hanafi Muslims took over the District Building , Barry was shot during the incident. His survival seemed to boost his "unstoppable" image. A sometimes controversial but always tireless advocate for Washington, D.C., Marion Barry created jobs for generations of Black families, became the ultimate District of Columbia politician. Barry first made a name for himself in the Deep racially segregated South as a leader in the Civil Rights Movement; then he brought that fierce advocacy to D.C. to support the fight for "Home Rule" where local residents would be freed from the rule of Congress to manage their own city affairs, something referred to today as "taxation without representation". He has left a strong legacy for so many young people to build upon. Marion Barry was the first American to take a bullet in the War on Terror against Muslim Extremists. He was first and foremost a lover of America and the American Dream. This is his true legacy; this is the real story of the Life of Marion Barry. The Media focuses on a few incidents of misuse of controlled substances, but they choose to ignore the greater story. That is the rise from the dirt poor humble beginnings of a sharecropper's family on a cotton plantation in Mississippi to become the Mayor for Life of the Nation's Capitol, Washington, D.C.. That is a modern day Horatio Alger Story. That is the essence of the American Dream. Marion Barry signifies the best in the American Dream. His story is what Dr Martin Luther King was talking about in his I Have A Dream Speech. The small scar above Marion Barry's heart has had three decades to fade, but it's still noticeable -- evidence that some things don't disappear with time. For 39 hours in March 1977 -- before the word "terrorism" entered our daily vocabulary -- 12 gunmen paralyzed the District in a three-point siege. The group of Hanafi Muslims held about 150 people hostage in three buildings, and before they surrendered, a young reporter was killed and dozens were injured, including D.C. Council member Barry. A shotgun pellet pierced his chest, right above his heart, nearly killing him. "It's been a long time, but some things you never forget. And that's one of them," Barry said in an interview. This morning, many who remember those three days and others who simply recognize their significance will gather in the Wilson Building's fifth-floor press room. They will unveil two plaques and dedicate the room to Maurice Williams, the WHUR-FM radio reporter who was shot as he stepped off an elevator in the District Building, the name of the city government's headquarters at the time. The building was one of the three places targeted in the siege, along with the B'nai B'rith International Center, at the time on Rhode Island Avenue NW, and the Islamic Center, on Massachusetts Avenue NW. "I believe this incident was one of the more traumatic incidents in the history of this city, and the fact that he was the only African American journalist ever killed in the line of duty . . . makes it a very special occasion," Paul Brock, who was WHUR's news director when Williams was a student intern, said yesterday. Brock will be among those gathered. "It's an incident that everyone should know about," he said. "It was a hint of things to come." The siege started March 9, 1977, at a time when security was still relaxed in government buildings and hostage videos weren't a few clicks away on the Internet. It was before people searched mail for white powder or suicide bombings claimed regular headlines. It was a time when Judge London Steverson did not even have to show his identification card to gain entrance to his office in the International Division of Coast Guard Headquarters across town in the John Volpe Transportation Building at 7th and D Street, SW.
"This was an early wake-up call about violence and terrorism and the extent to which groups will go to engage in violence either for the sake of violence or to make a point," Daniel S. Mariaschin, executive vice president of B'nai B'rith International, said yesterday. "Little did we know 30 years ago that this kind of issue would be a daily concern for all of us, not only here in Washington but abroad as well." He will speak at today's event. The 12 gunmen had several demands. They wanted the government to hand over a group of men who had been convicted of killing seven relatives -- mostly children -- of takeover leader Hamaas Abdul Khaalis. They also demanded that the movie "Mohammad, Messenger of God" be destroyed because they considered it sacrilegious. Most of the hostages, more than 100, were captured at the B'nai B'rith headquarters. Rae Ehrlich, a secretary on the fourth floor of the Jewish organization's building at the time, was among those held captive. "A girl came in screaming, 'There are men with guns!' " Ehrlich, 83, recalled. She and others locked themselves in her boss's office, she said. "The next thing we heard were men coming in and saying, 'Unlock the door or we're going to kill you all.' "
They shattered a glass panel in the door and then took everyone downstairs, she said. "When I entered the second floor, there were bodies on top of bodies. I thought everyone was dead," she said. In the room where she was held, men were placed on one side, their hands tied behind them, and women on the other. She remembered wearing a dress that day and slowly unhemming the bottom, hoping the length would help her avoid attention. The men had it worse, she said. Some were not allowed to use the bathroom and had to relieve themselves where they stood. One of the captors told them that "if anyone does anything wrong, he'll cut their head and throw it out of the window," she recalled. Ambassadors from Iran, Pakistan and Egypt worked with police to persuade the men to give up. When they were finally released, Ehrlich and others went to a hotel, where counselors were waiting. "They said, 'You cry it out, you write it out. Whatever you need to get it out of your system,' " Ehrlich said. She cried only once, when she saw the headlines the next day. "Then I cried," she said. "I got it out of my system." Mayor For Life, Marion Barry said one lesson from that day has remained with him. "That God's in charge," he said. "Life is not promised. You could be gone in a flash." He walked into the hallway of the District Building after hearing a commotion and was hit by a ricocheted shotgun pellet. He recalled stumbling back into the council chambers, dazed and "scared to death." Down the hall, a security guard lay wounded and would die a few days later from a heart attack. Williams, also nearby, was dead. Barry, who was elected mayor the following year, said he knew Williams as a "young, aggressive, budding reporter who took his job seriously." Williams was 24. Two years ago, the National Association of Black Journalists voted to create a scholarship in his honor, something Brock had pushed for. Williams's mother, Bertha, who lives in Maryland, will attend today's ceremony. "He was very serious journalist. He wanted to tell stories that needed to be told," Brock said. "I believe if his life had not been cut short . . . that he would have evolved into a renowned national journalist." John W. King wrote about the Hanafi siege in his book, The Breeding of Contempt. The book chronicles the siege and his family's becoming the first African American family in the Federal Witness Protection Program after the massacre of the Khaalis family. The siege is mentioned in Joni Mitchell's song "Otis And Marlena" from her 1977 album Don Juan's Reckless Daughter. In the song, the title characters travel "for sun and fun / While Muslims stick up Washington". The Jonathan Leaf play The Caterers, which was produced Off Broadway in 2005, portrayed a modern-day version of the siege. Marion Barry was the first American to take a bullet in the War on Terror against Muslim Extremists. He was first and foremost a lover of America and the American Dream. This is his true legacy; this is the real story of the Life of Marion Barry. The Lame Stream Main Stream Media focuses on a few incidents of misuse of controlled substances, but they fail to see of choose to ignore the greater story. That is the rise from the dirt poor humble beginnings of a sharecropper's family on a cotton plantation in Mississippi to become the Mayor for Life of the Nation's Capitol, Washington, D.C.. That is a modern day Horatio Alger Story. That is the essence of the American Dream. Marion Barry signifies the best in the American Dream. His story is what Dr Martin Luther King was talking about in his I Have A Dream Speech. The Marion Barry story is a huge success story. Only in America could the son of a sharecropper born on a cotton plantation in the Mississippi Delta pull himself up by his bootstraps and become the three term Mayor For Life of the Nation's Capitol, Washington, D.C.. His road to success went from Mississippi through Memphis to Washington, DC. Those are three predominantly Black enclaves in America. How he did it is as much a story as that he did it. He was born without a silver spoon in his mouth into a downtrodden sub-culture of freed slaves; yet, he did not play the victim; but with true grit, determination, and faith in God he strove with every ounce of courage that a Black mother can impart to her baby boy. He played by the rules; when he met obstacles he surmounted them; he met the challenges of the underdog in a polarized segregated society; and, against overwhelming odds he succeeded. There were times when some may have thought that he bit off more than he could chew; and when there were doubts about his character, he kept his head when all about him were losing theirs. And Marion Barry triumphed in spite of the naysayers and the Barry haters; he won reelection three times as Mayor of the District of Columbia. He is the most recent living embodiment of the true spirit of the American Dream. Marion Barry was a champion; he was a winner; he is a genuine American hero. The most insidious power the news media has is the power to ignore and to distort. That is what they have done with the story of the life of Marion Barry. The newspapers set the National Agenda, for better or for worse. If they ignore a story, it isn't a story; and, if they distort a story, that becomes the story; and the rest is history. It is a tragedy that they have ignore the better parts of the Marion Barry Story, and they have distorted the parts they have chosen to consider. Someone must tell Marion Barry's Story of rags to riches. His story is a worthy story to praise; his life struggle is one to be emulated, except for the times he wandered off the reservation in search of fake solace and gratification.